With all the frenzy around “super foods” on the market these days, it turns out that the coconut oil might just be the champion of them all. 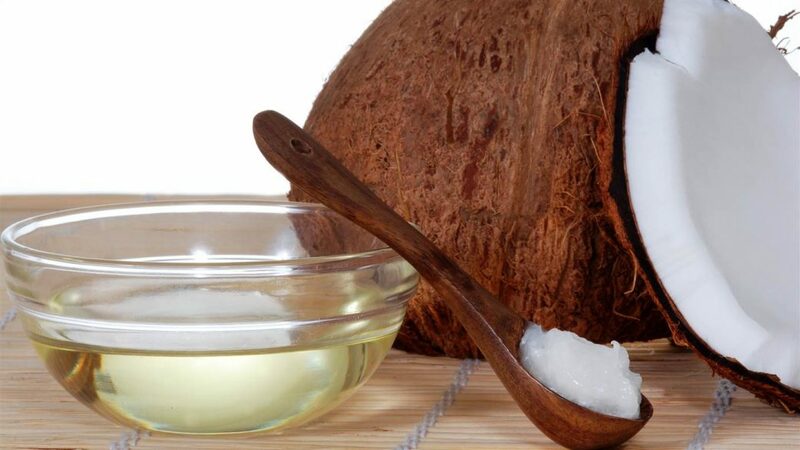 From skin care and weight loss to hormone balance and mental acuity, here we take a look at the clever uses and benefits of coconut oil for your hair. As mentioned this will be a leave-in treatment, so make sure to allow yourself at least an hour or two for better results. Wash your hair and let it dry a bit while gathering your tools. You will need two small bowls of a different size, a comb, a towel and of course your jar with organic virgin coconut oil. Scoop a small amount of jar and put it in the smaller bowl. Pour some hot water in the larger bowl and place the smaller one inside it so the coconut oil can melt. When the oil is completely melted, use your fingers to spread it onto your hair and then comb it. Wrap a towel around your head and keep it for about an hour so you. Shower your hair again to wash away the grease and style as usual. 2. Set your hair free of Dandruff ! The long term use of chemical hair cosmetics can seriously damage your scalp. But worry not – coconut oil got you covered! The long- term use of shampoo, conditioning, coloring styling products can leave you with annoying dandruff. You can use this natural product to get rid of the intruder! Follow these simple steps each day to heal your scalp! Wash your hair as usual at the end of the day. Prepare your tools – a comb, 2 different size bowls, a towel to wrap your hair with. Scoop a small amount of the coconut oil jar and place it in the smaller bowl. Pour some hot water in the large bowl and place the smaller bowl in it. Leave the oil to melt. Meanwhile, comb your hair to make sure there aren’t any tangles. Wrap your hair with the towel and leave it till the morning for best results. This particular oil is a great choice for call- natural hair coloring. Because coconut oil penetrates in the hair deeper than any other natural oil, it can boost your color’s vibrancy as well as make it last longer. Mix the melted oil with your coloring herbs and apply as usual. Wrap your hair with the shower cap and let it stay overnight. 4. Grow your hair with coconut oil! Shortly before bedtime wash your hair with shampoo and conditioner as usual. Get your tools ready – a comb, 2 different size bowls, a towel to wrap your hair with. Use hot water to melt the coconut oil in the 2 bowls. After the oil has melted, use your fingers to apply it onto your scalp. Wrap your hair with the towel and leave it all nigh for best results. 5. Coconut oil to protect your hair from sun damage! Last but not least, coconut oil makes a great sunscreen for your hair. The long exposure of your hair to the sun light can damage it and make it thin and split- ended. To protect your hair, you can apply this natural product before going to the beach. Brush your hair while melting the oil on hot water bath. Apply the melted oil onto your hair with your fingers and style as usual. If you have more ideas for coconut oil as a hair product, please feel free to share them in the comment section below!